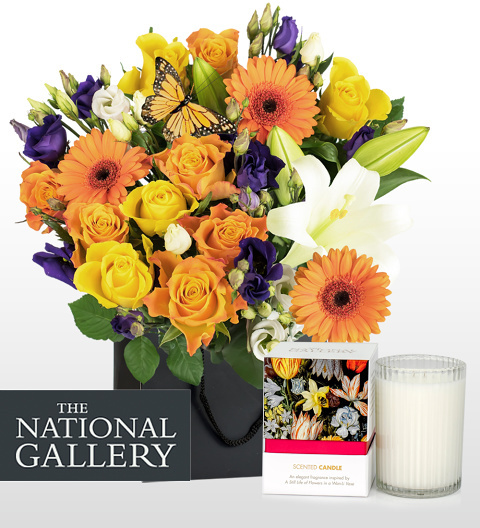 Both the bouquet and candle in this gift are based on Bosschaert's A Still Life of Flowers. The candle provides an amazing scented blend of white jasmine, orange flower, tuberose, with hints of vanilla and magnolia. As for replicating this work of art with fresh flowers, we have selected a single, perfect Oriental Lily and added a variety of luxurious blooms. This is the ultimate choice when you need to impress somebody special for their anniversary, birthday, or any other occasion.